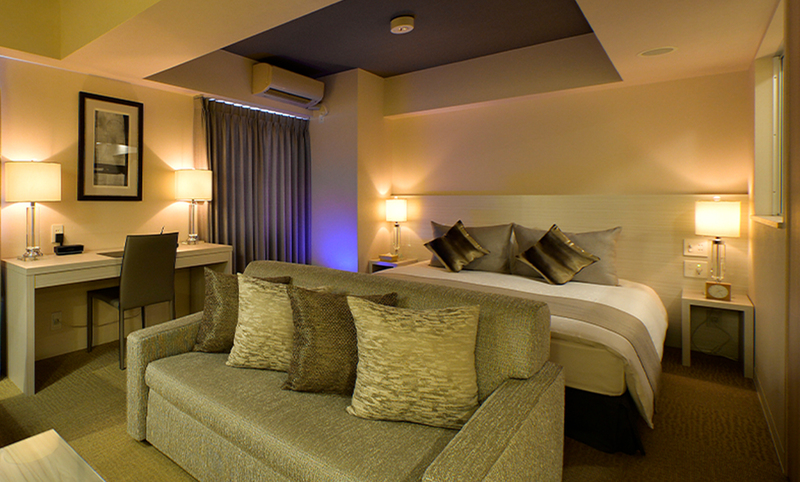 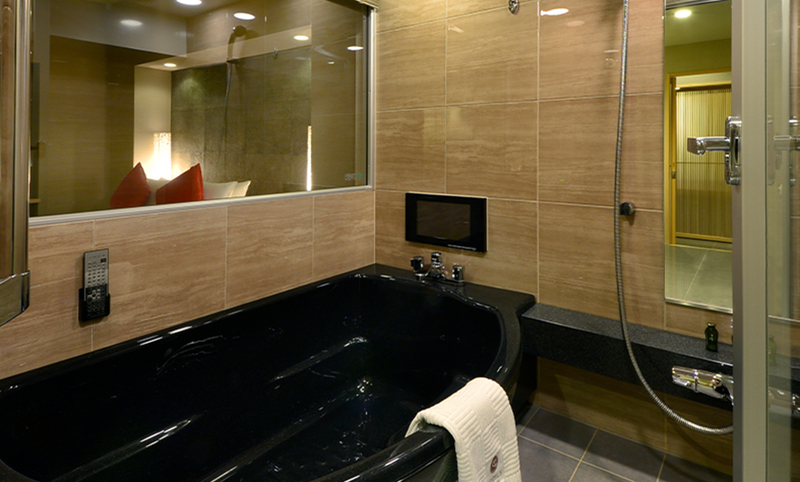 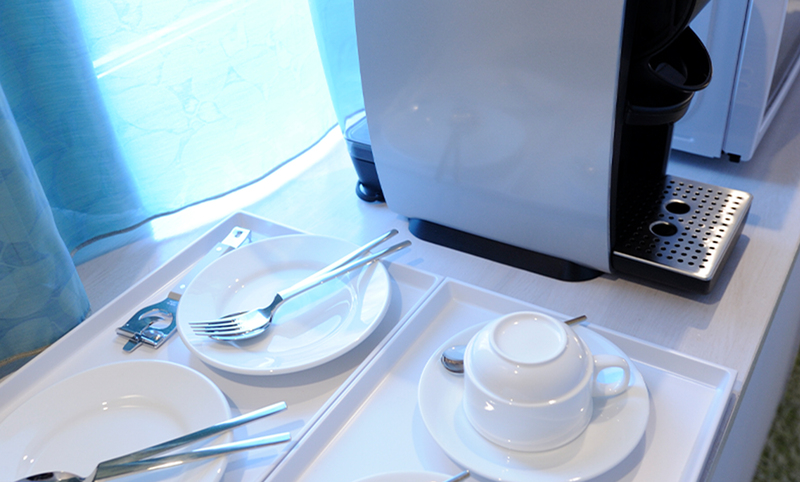 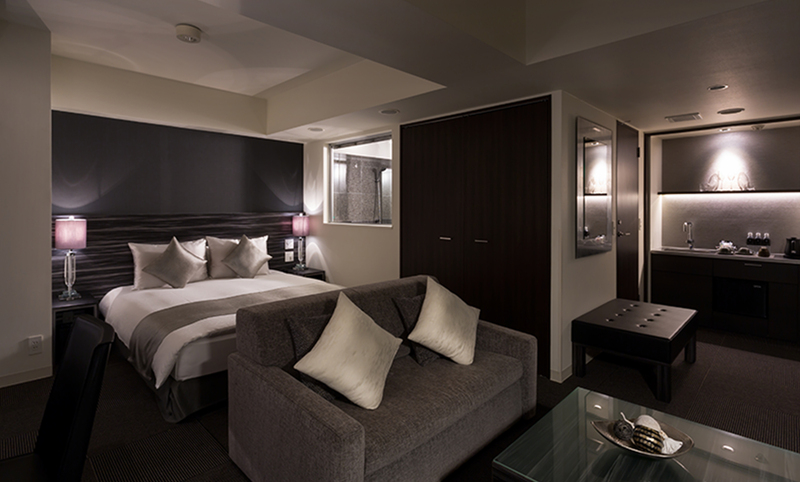 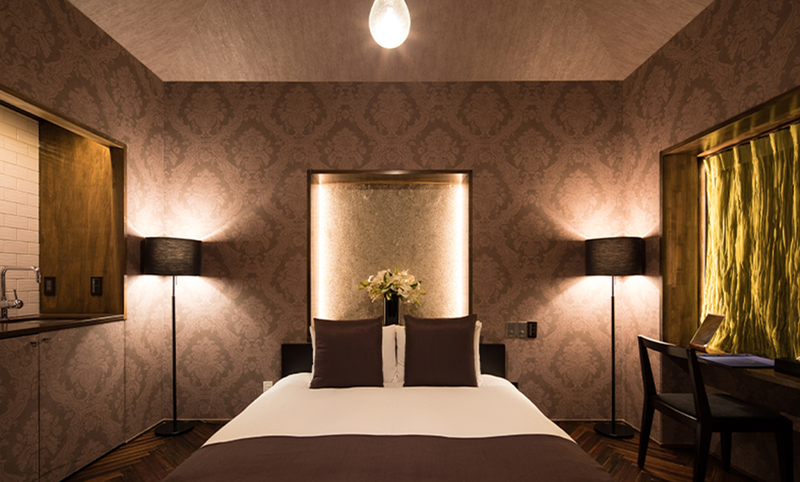 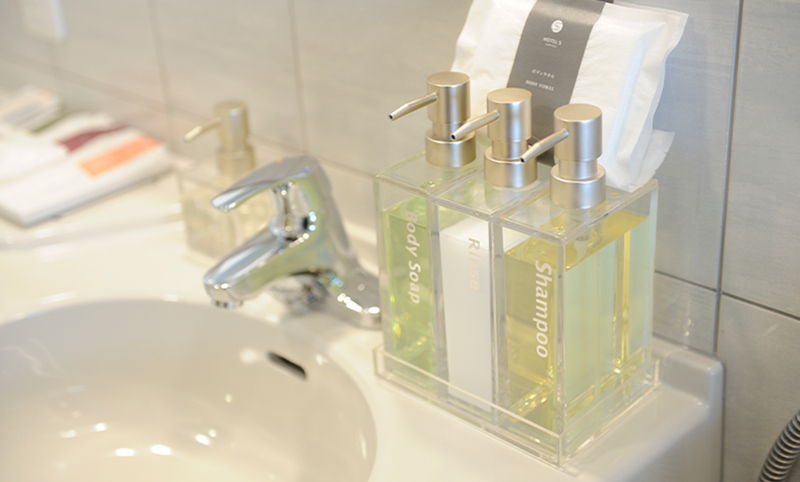 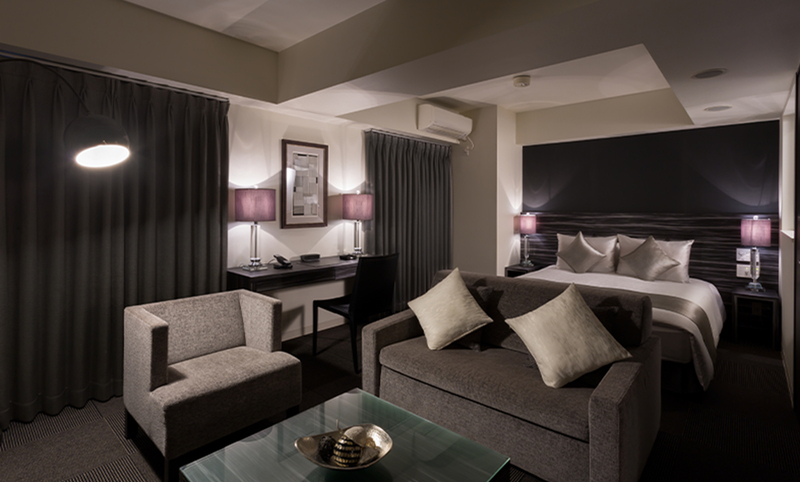 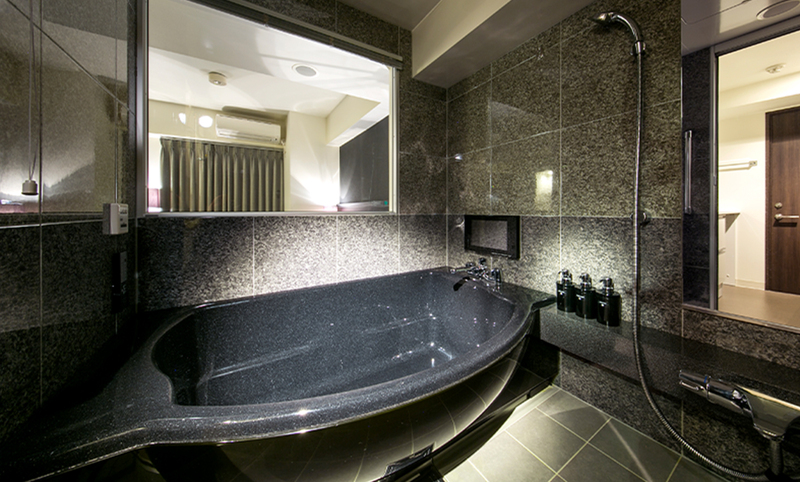 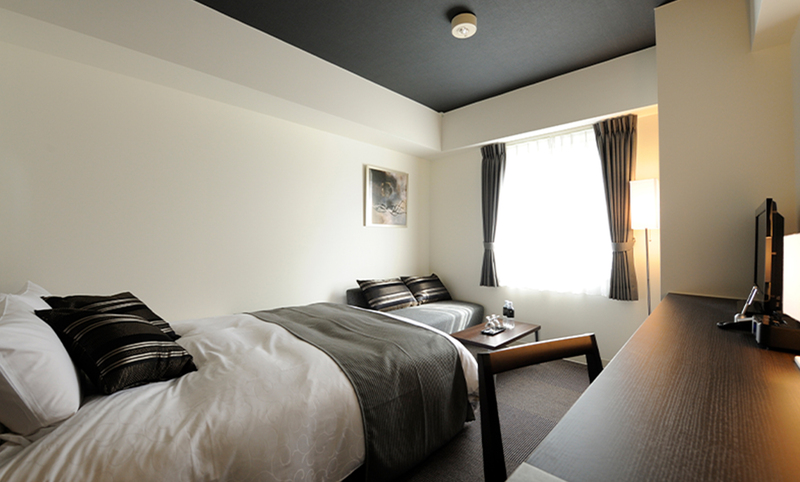 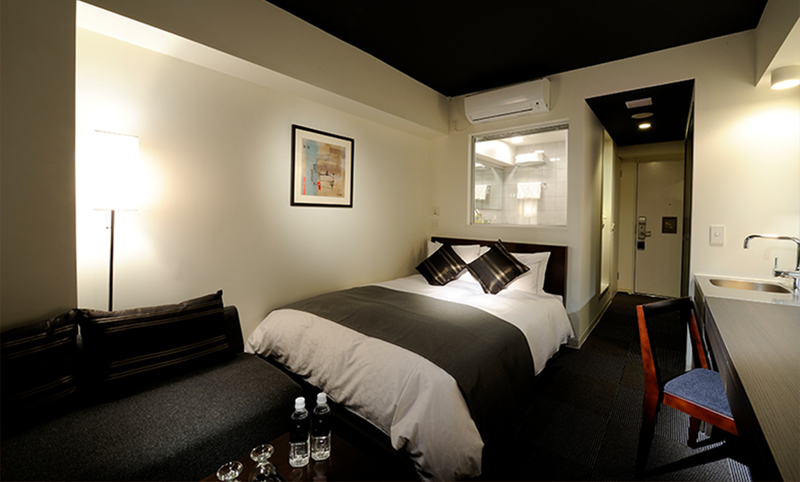 The new hotel life that is a "space for real adults"
We offer a variety of designed rooms with various themes. 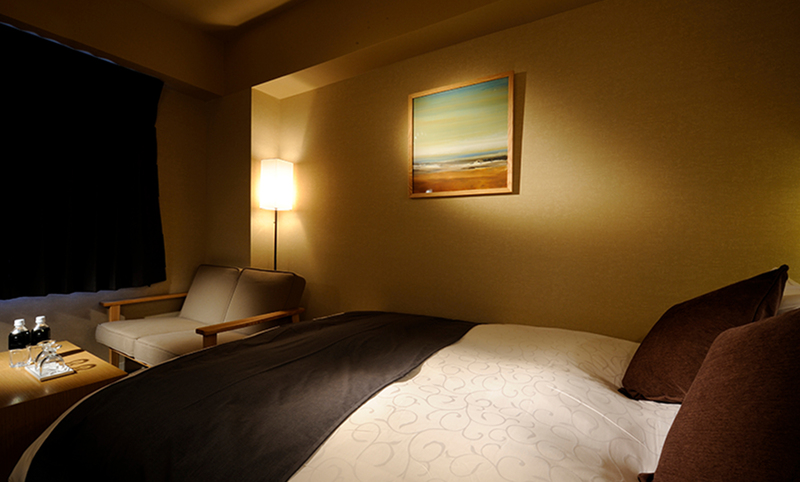 You can choose them depending on your feelings and situation. 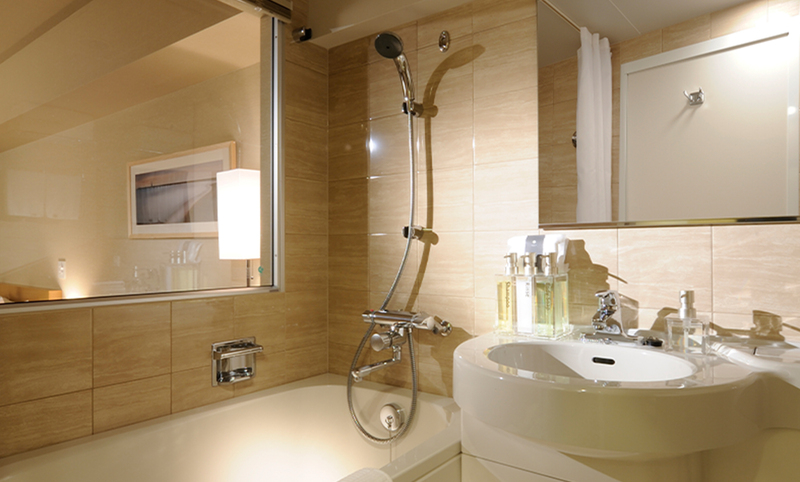 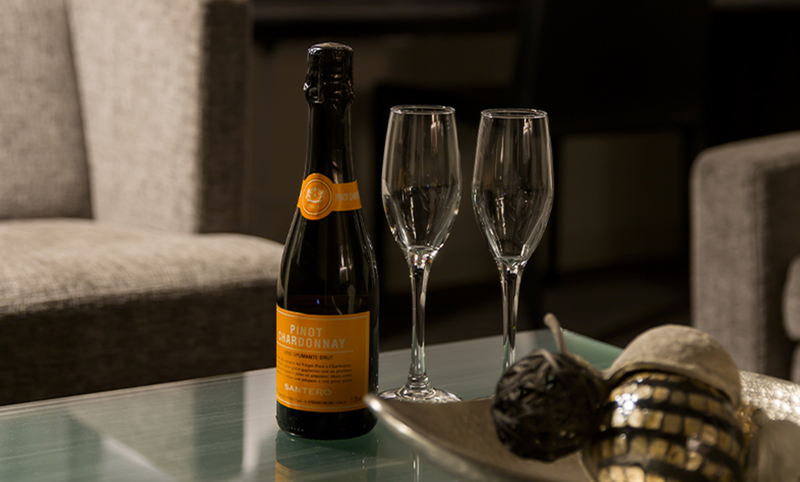 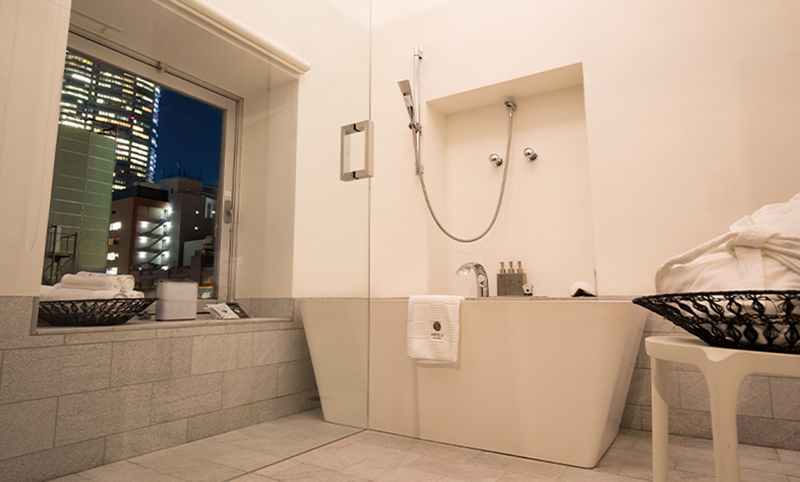 Enjoy the "space for real adults" that stimulates your everyday life. 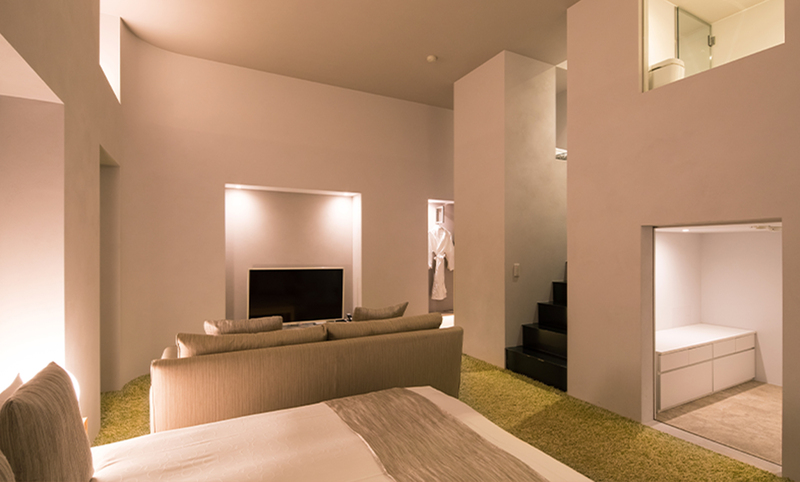 Step through your front door in to an environment or opulent green. 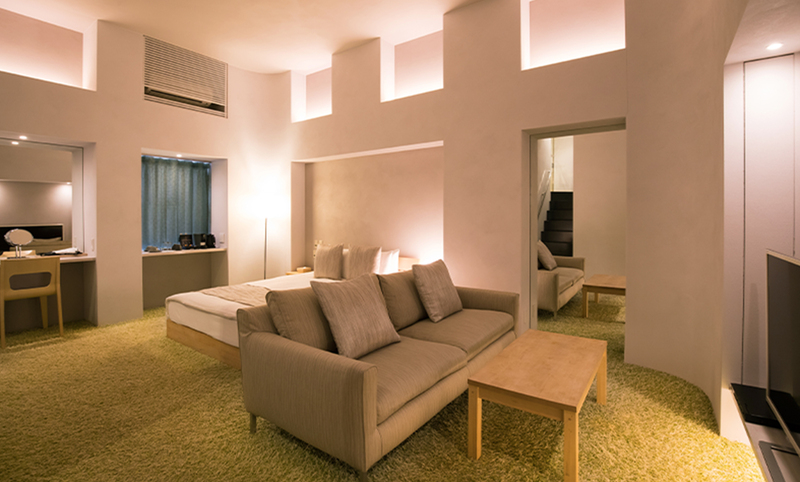 landed on a soft field of grass or maybe you are deliciously lost in the middle of a vast green gardenpark. 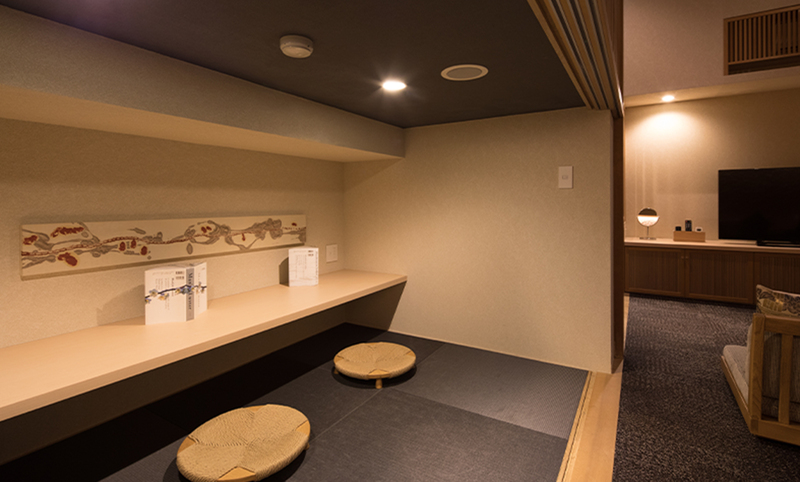 Based on the concept of Zen, Japanese meditation, thiseroom and its furniture were designed and selected in to enhance a feeling of peace and meditation. 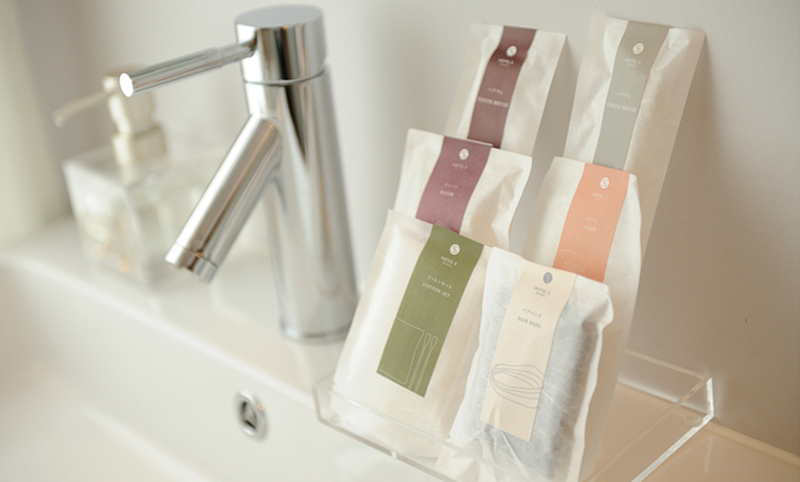 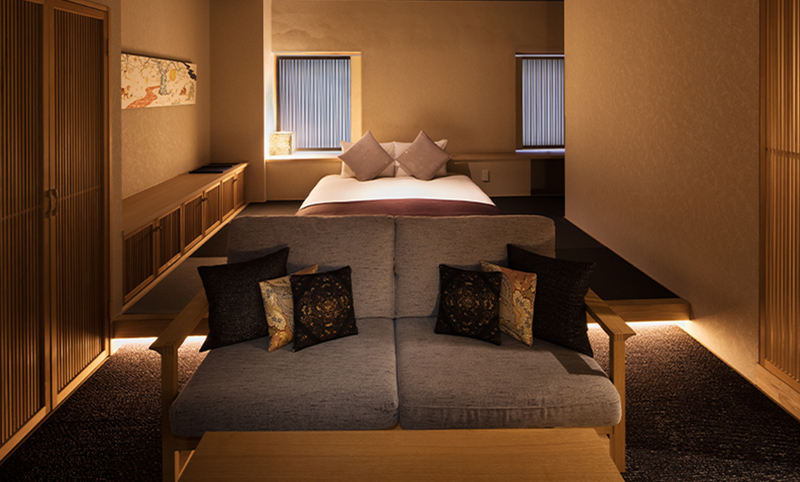 three tatami mat tea space is tucked up beside your bed and we invite you to contemplate and refresh your mind in this environment of quiet light and subtle hues. 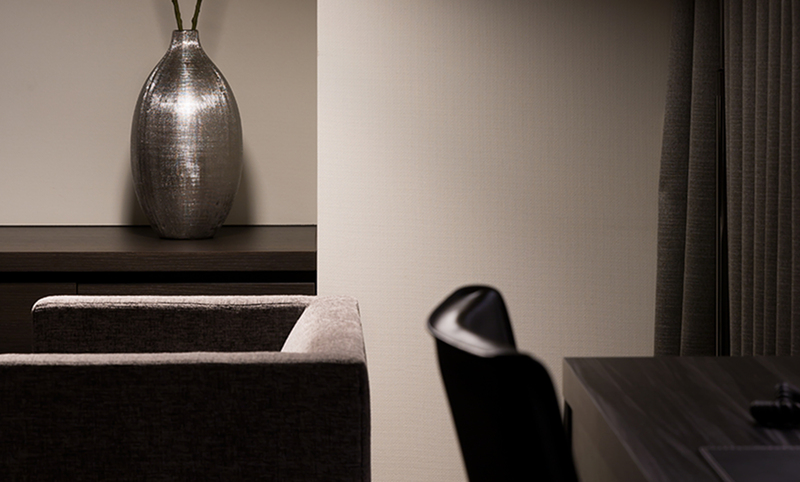 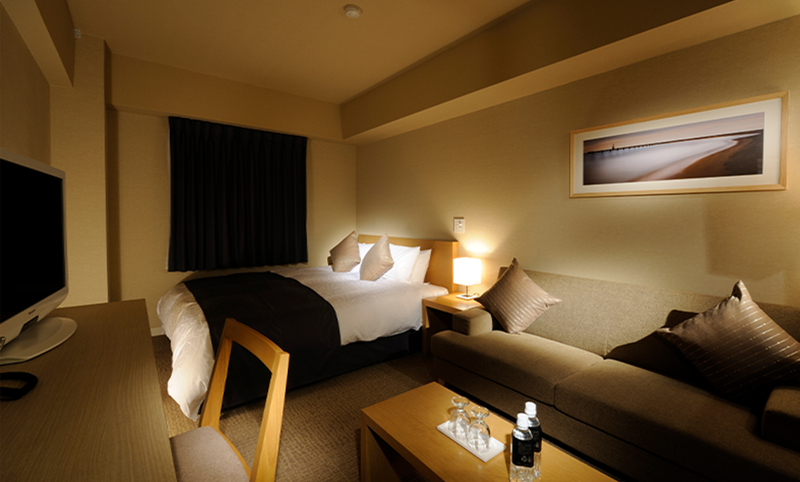 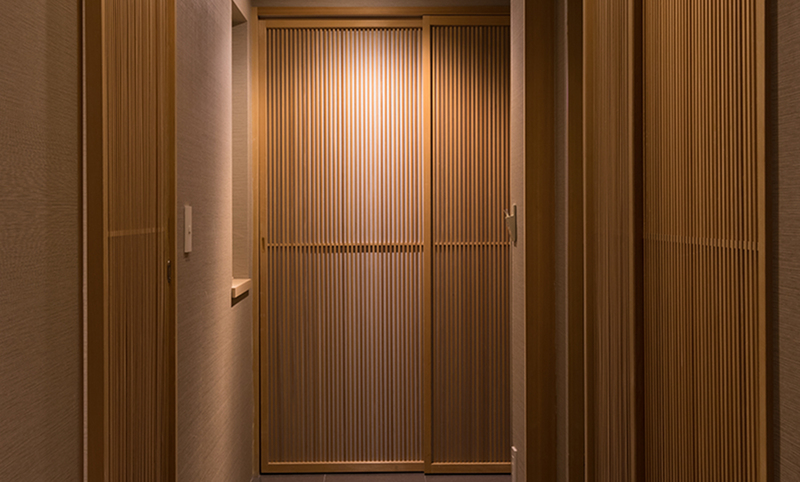 By applying western design in our method and technology, we’ve created a one-of-a-kind modern Japanese room. 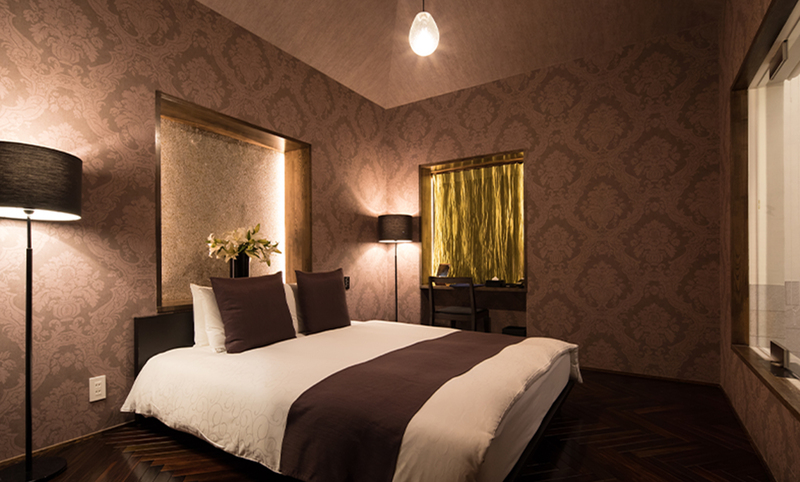 A specific aspect of this intriguing combination of East and West is a fine vertical touch of wood lattice ornamented over the bed and on the surrounding walls. 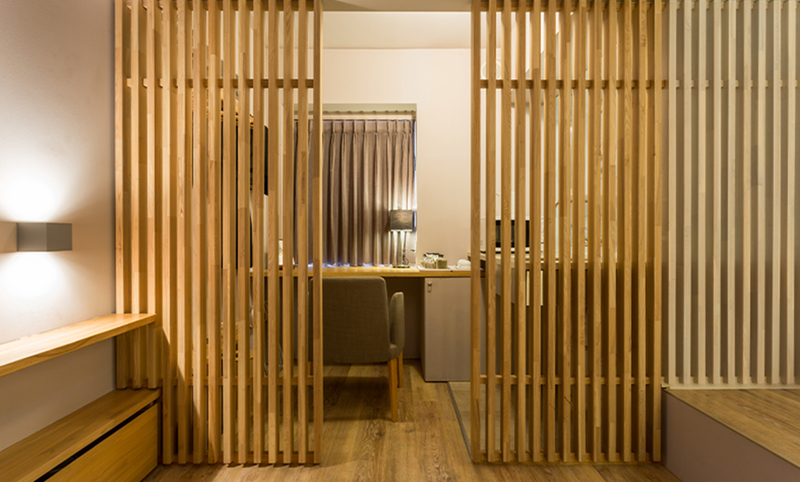 Beautiful repetition of vertical, extended wooden lattice design brings a positive energy and stimulating effect to this special room. 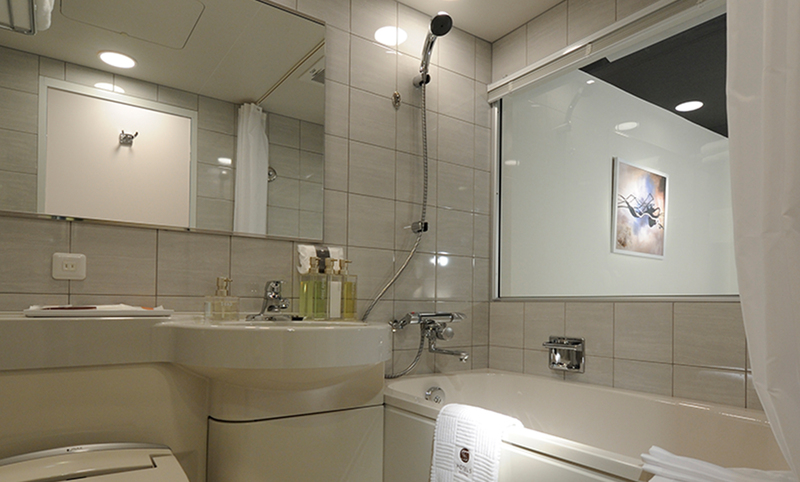 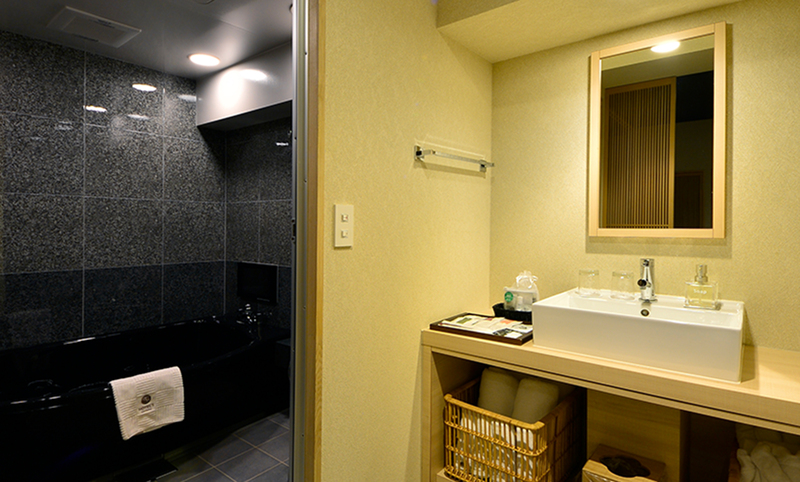 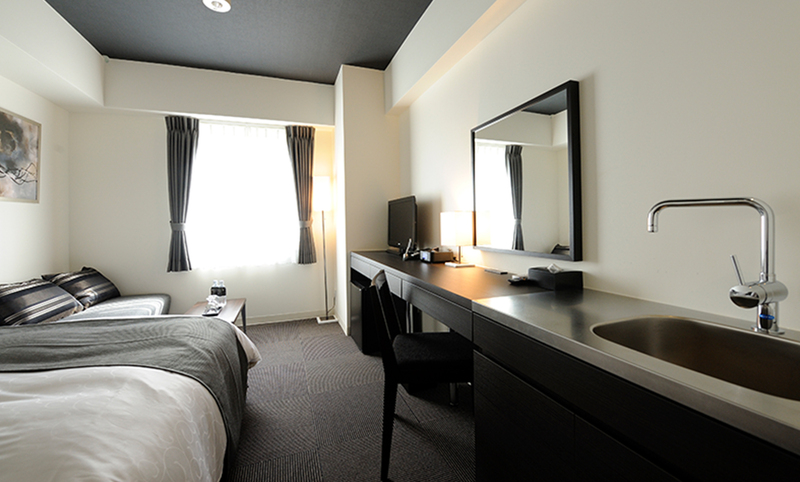 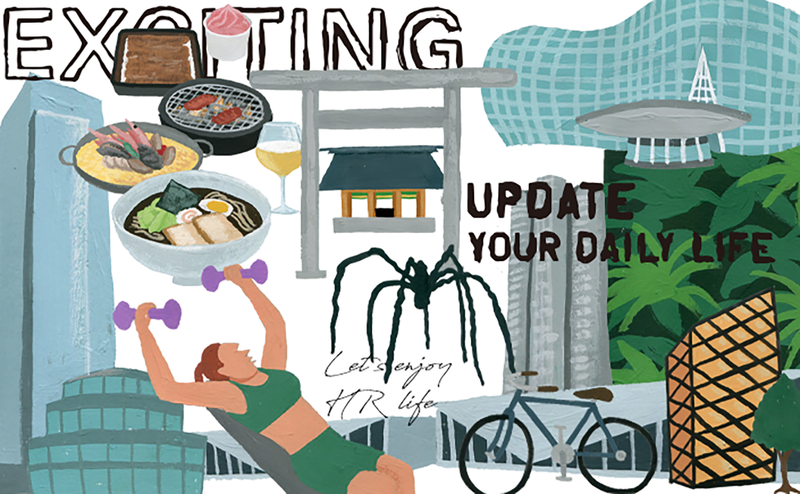 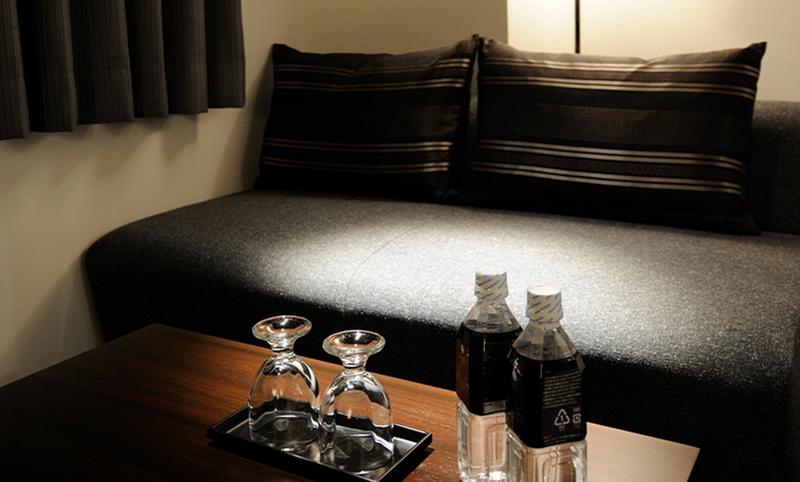 spend timesurrounded by modern Japanese design, here, at Tokyo’s core. 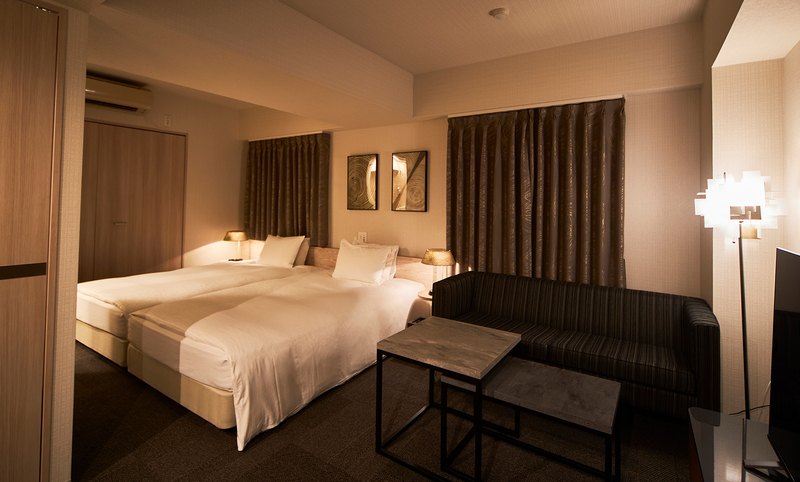 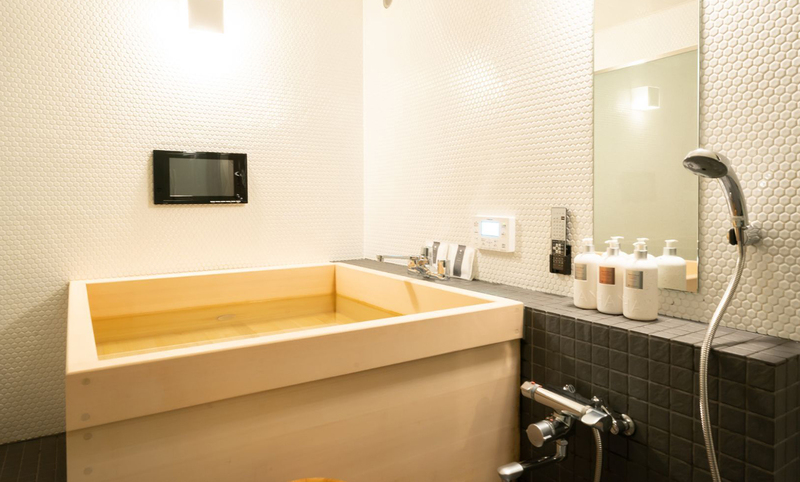 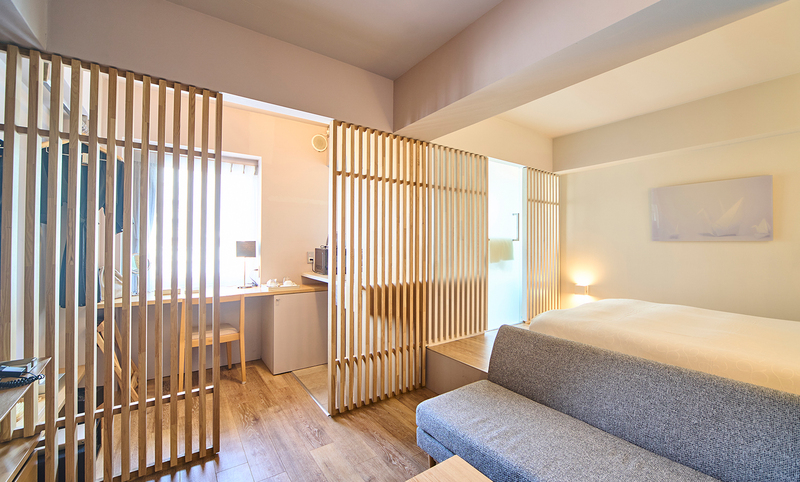 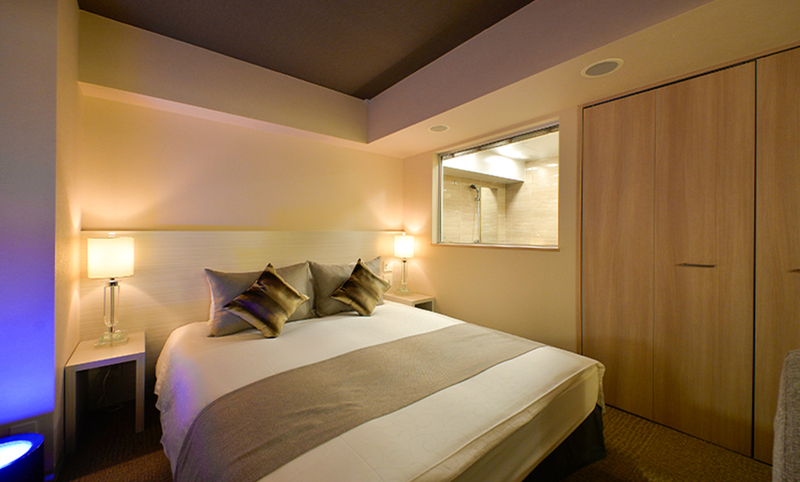 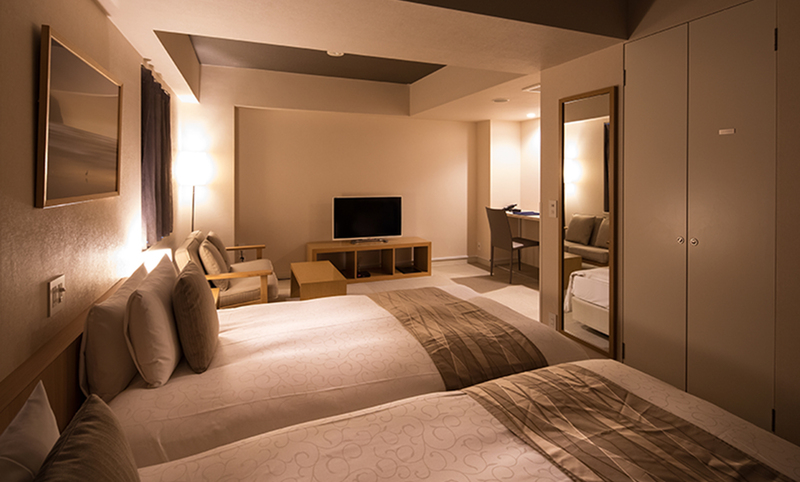 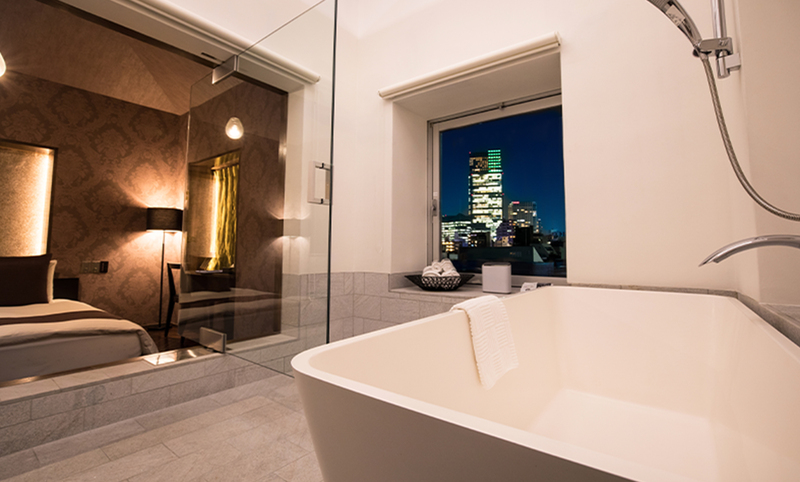 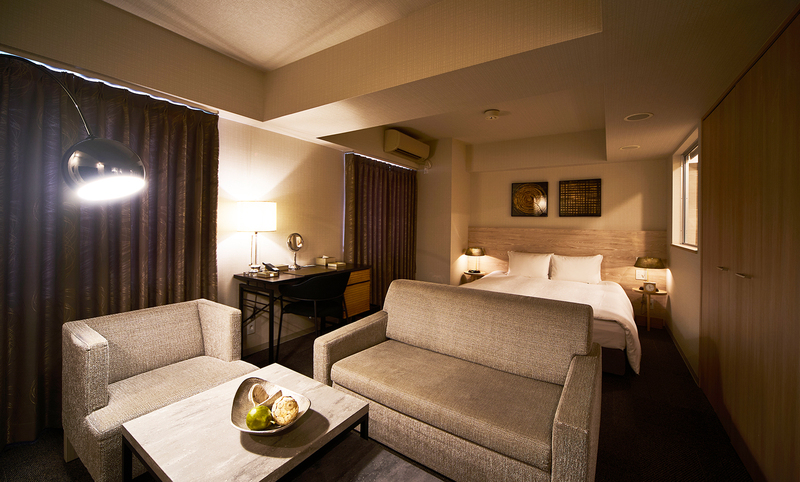 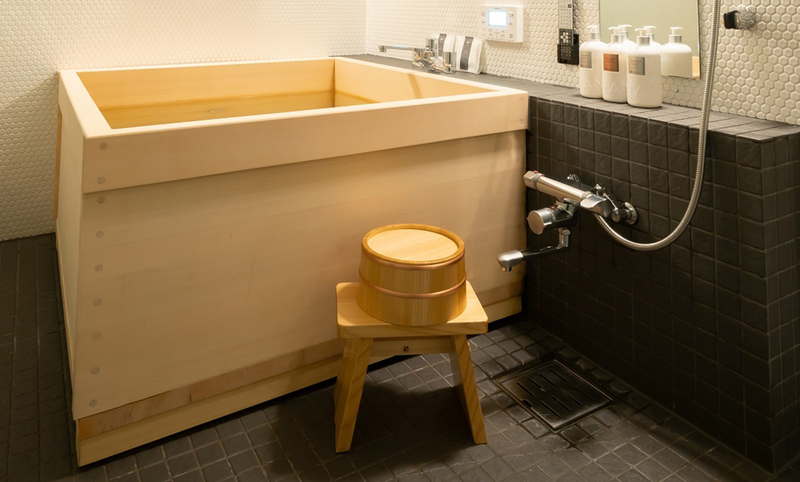 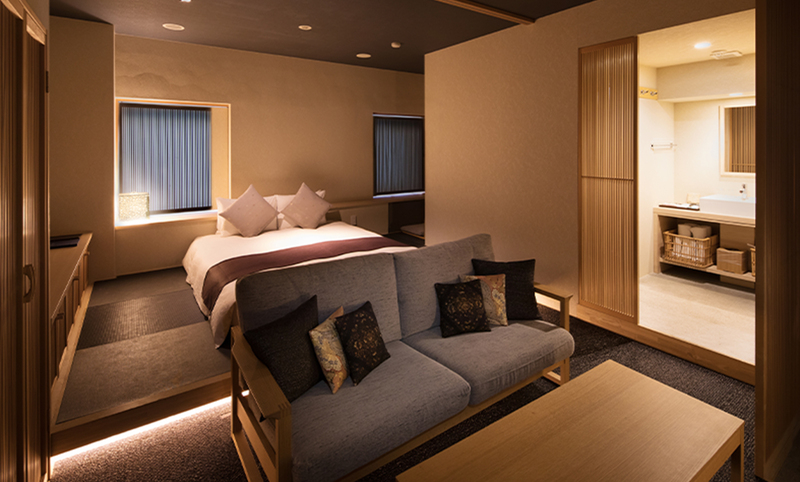 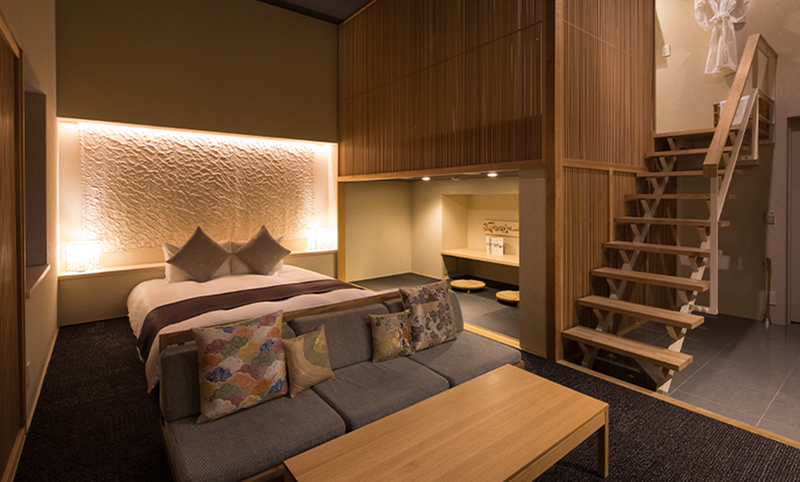 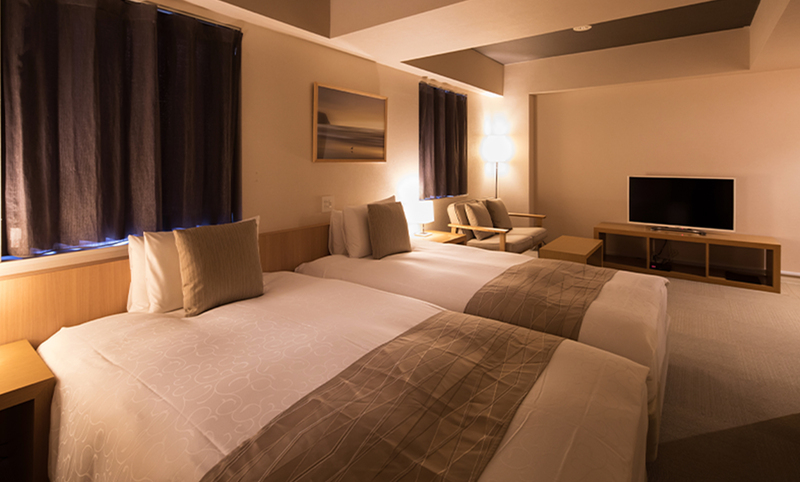 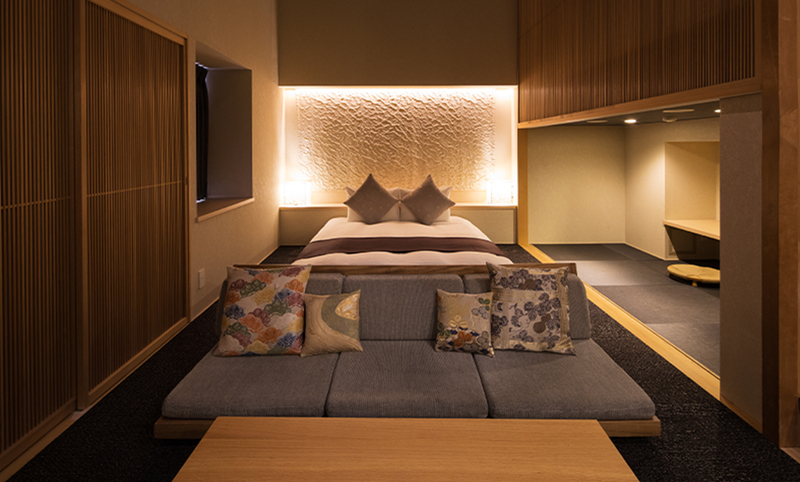 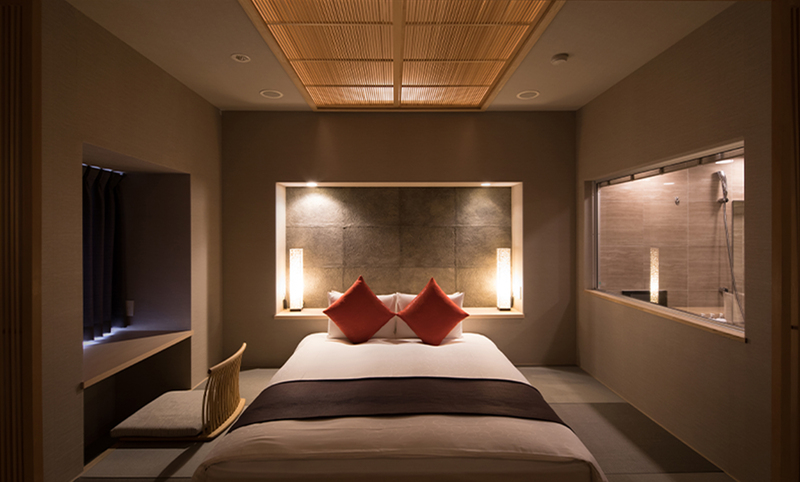 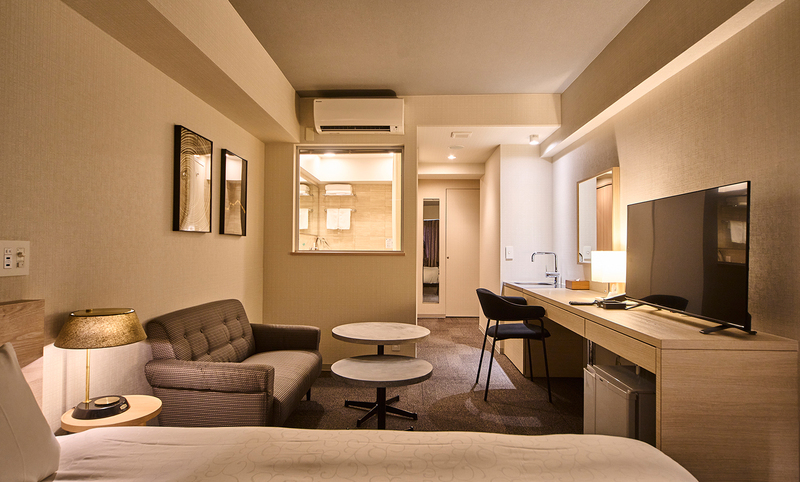 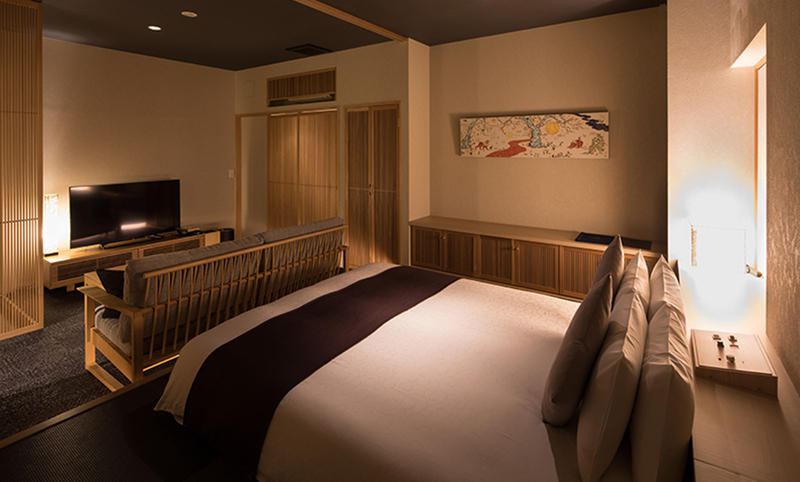 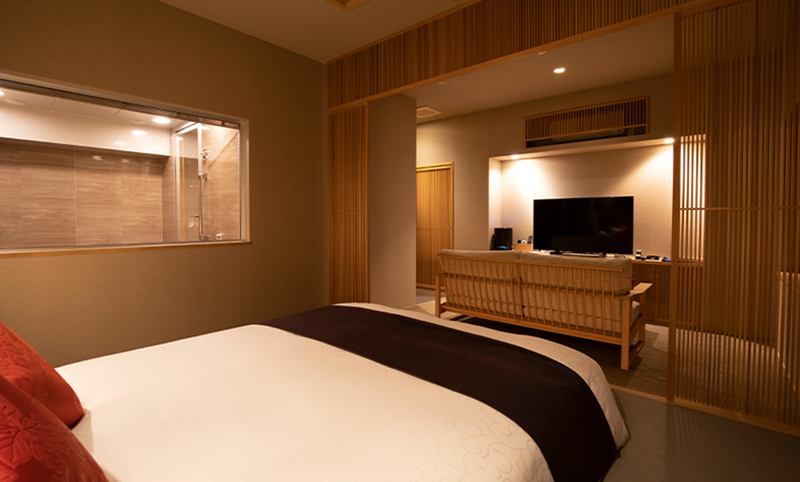 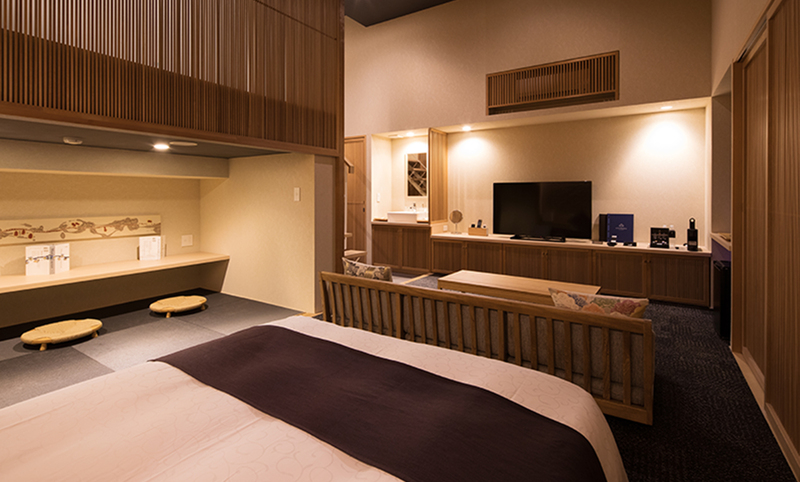 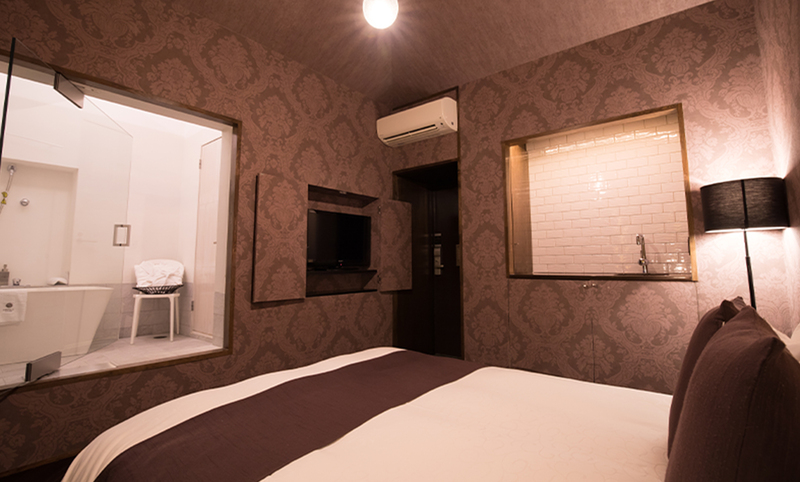 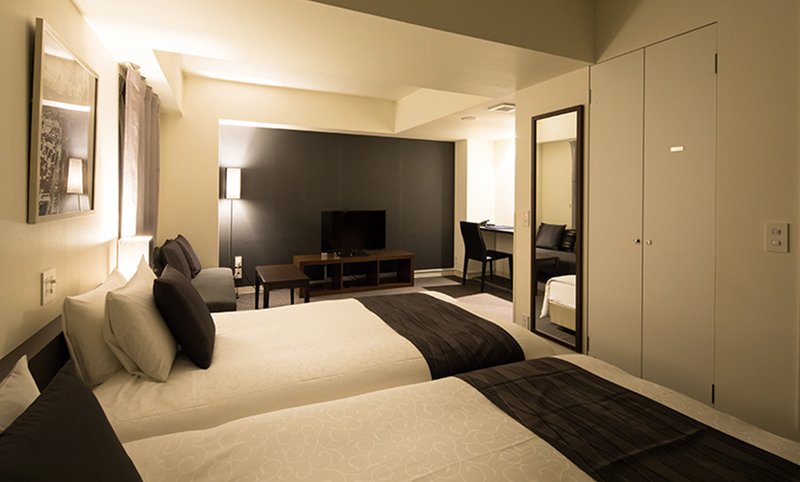 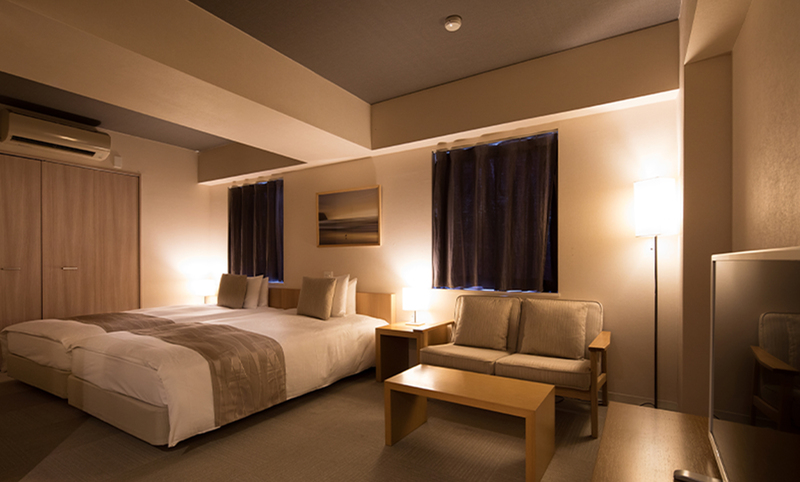 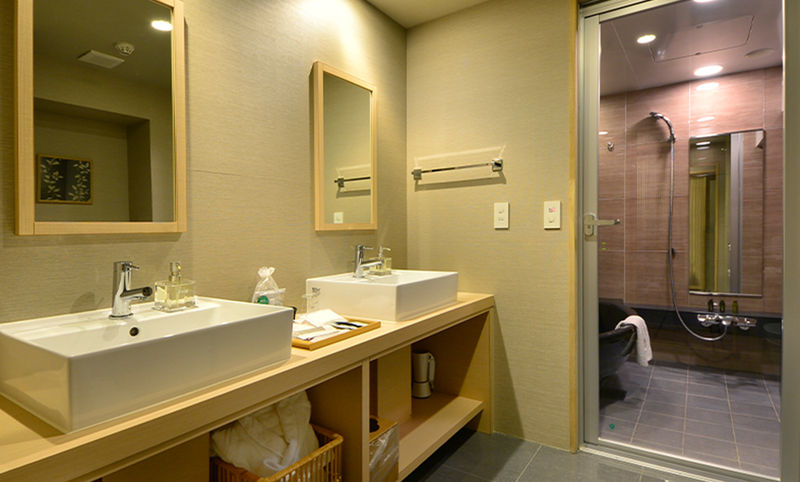 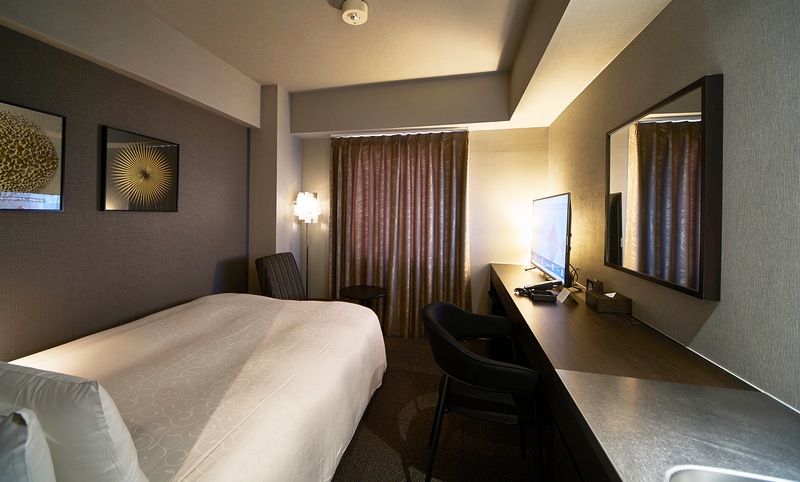 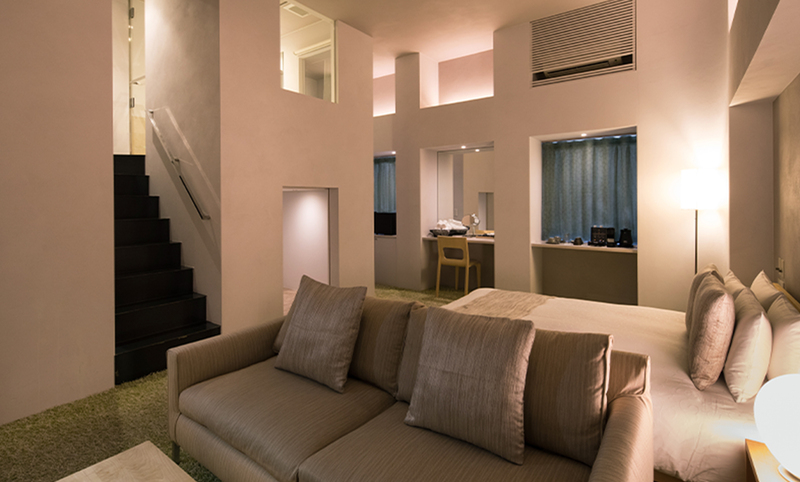 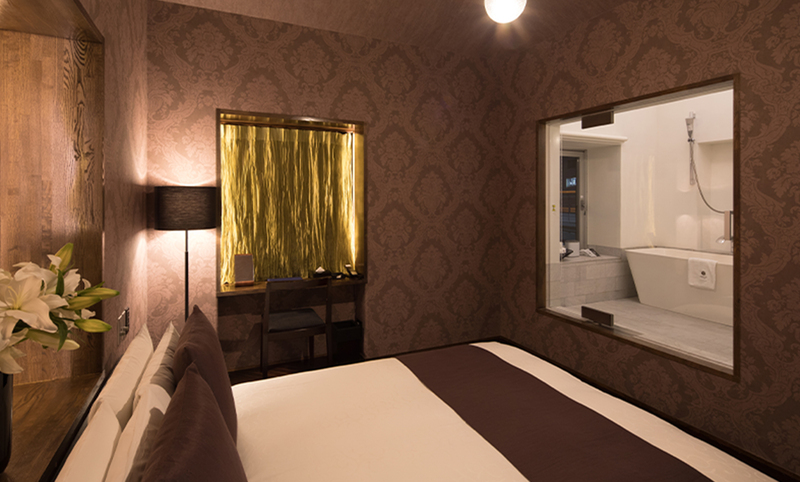 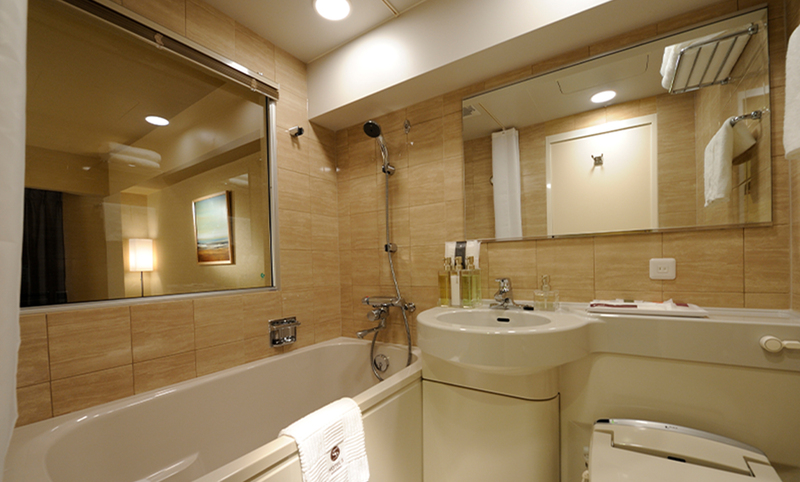 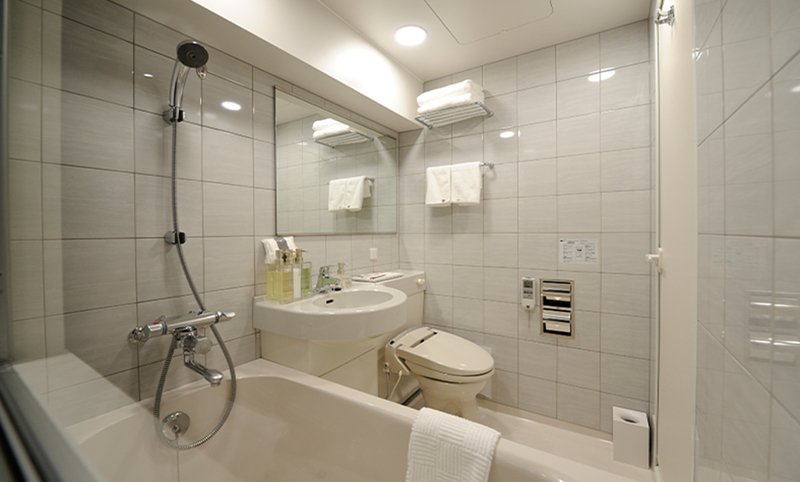 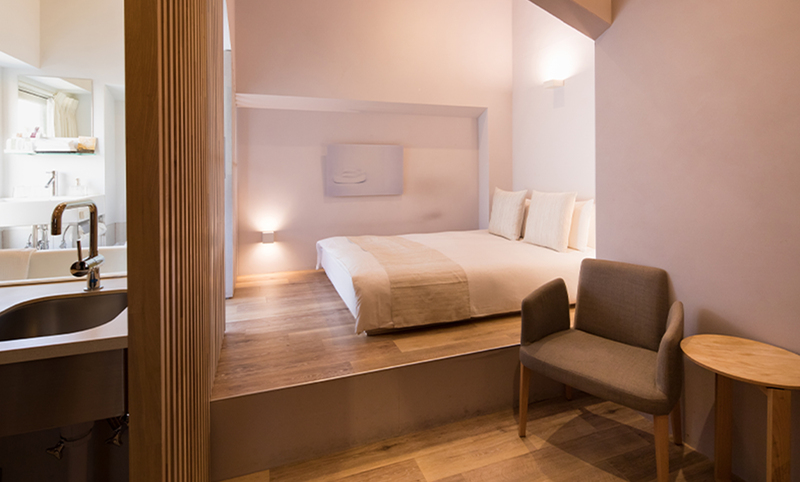 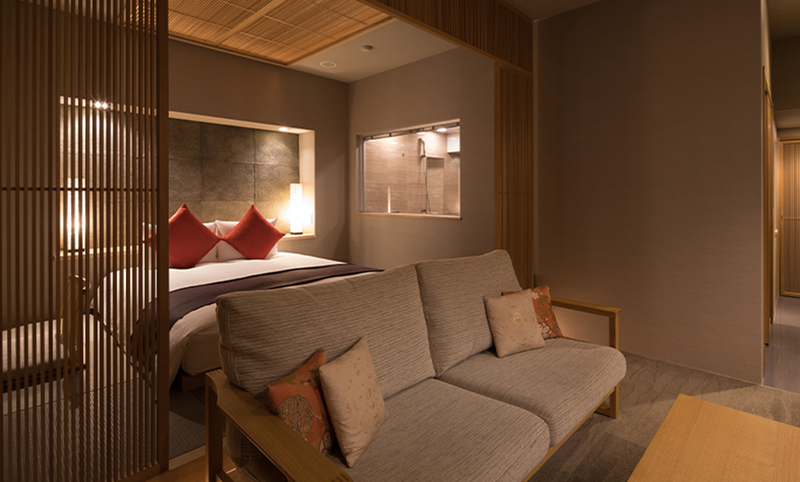 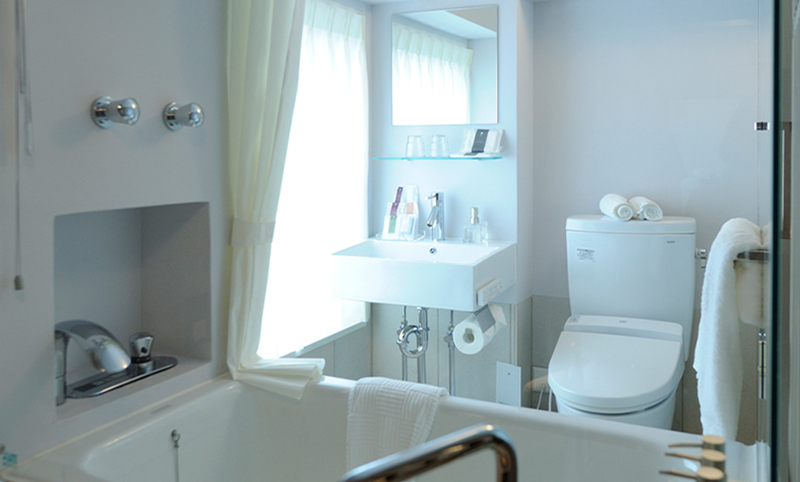 Dievided into three different spaces: ining, living and sleeping, the Luxury room offers the comfort of home in the heart of Japan’s most bustling city. 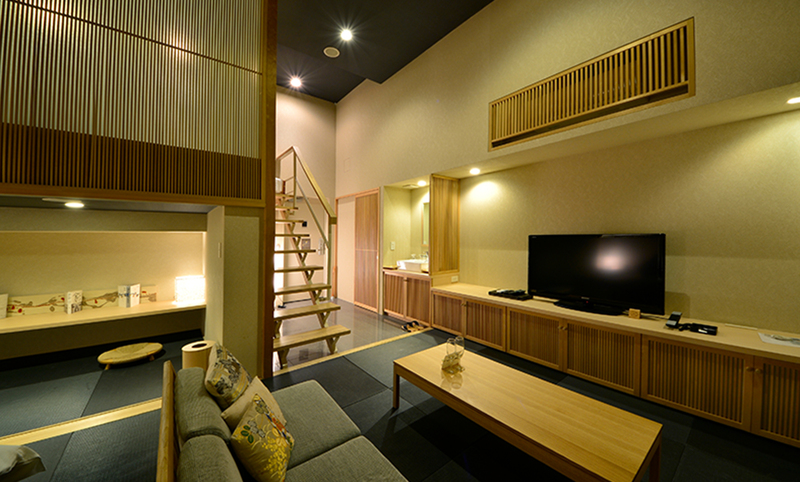 The architect producing this room aimed for it to function as a small house. 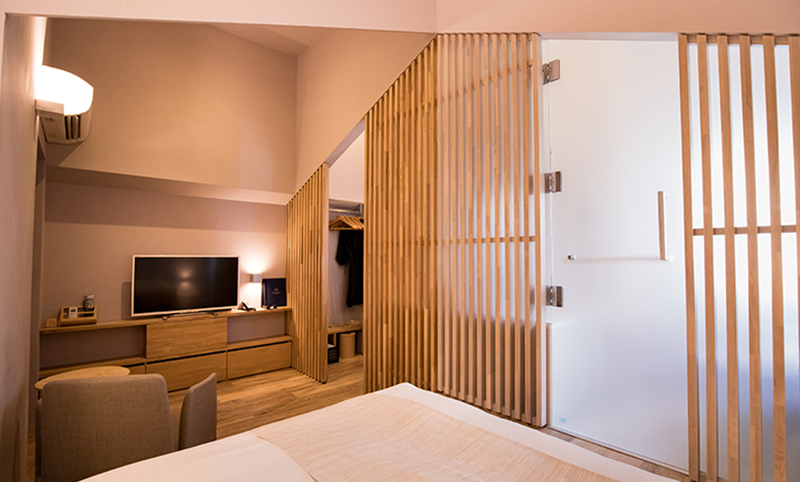 An architect produced the room to Divided into 4 cubes, one for sitting on a sofa, in front of a desk, having a bath and sleeping; the room covers your lifestyle as a whole. 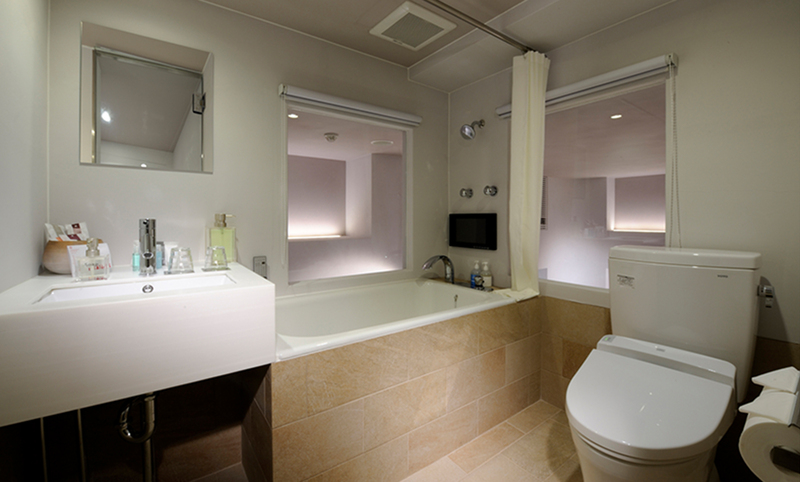 A large patio-design bathroom with a ceiling height ofis 3.5 meters is the highlight of this unique room allowing you to enjoy the openness and freedom of the space just like you would on a patio garden in the country. 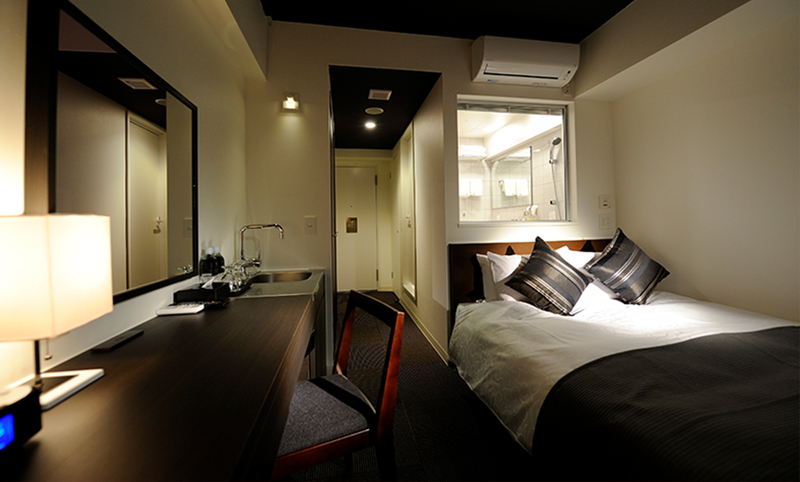 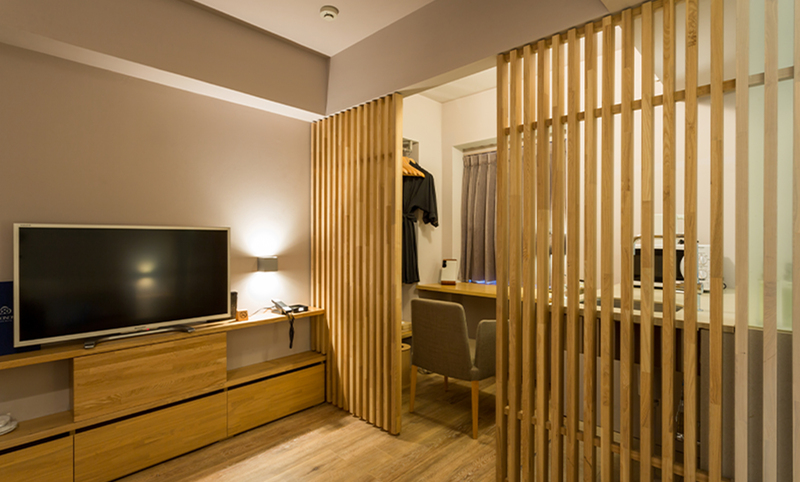 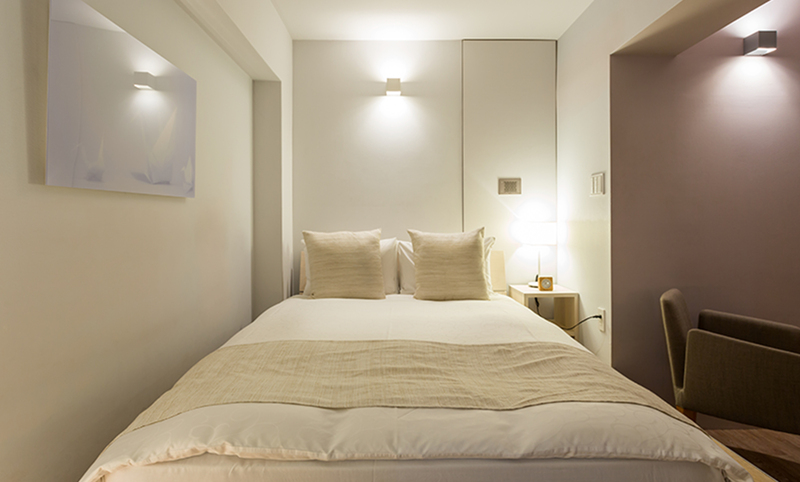 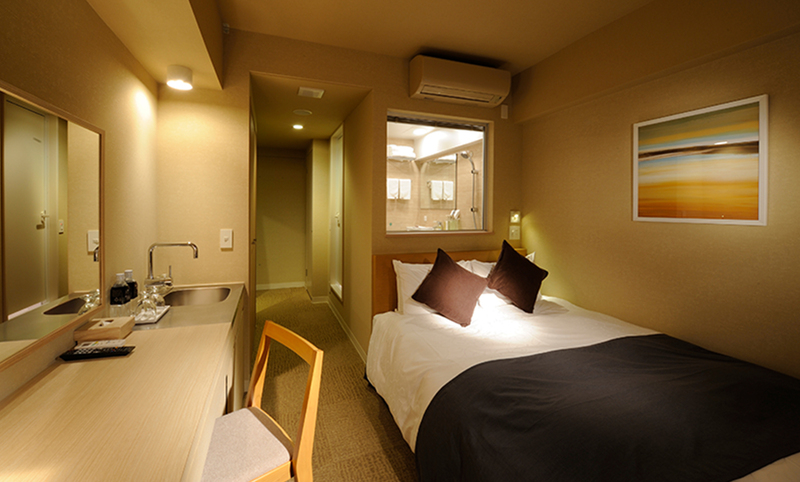 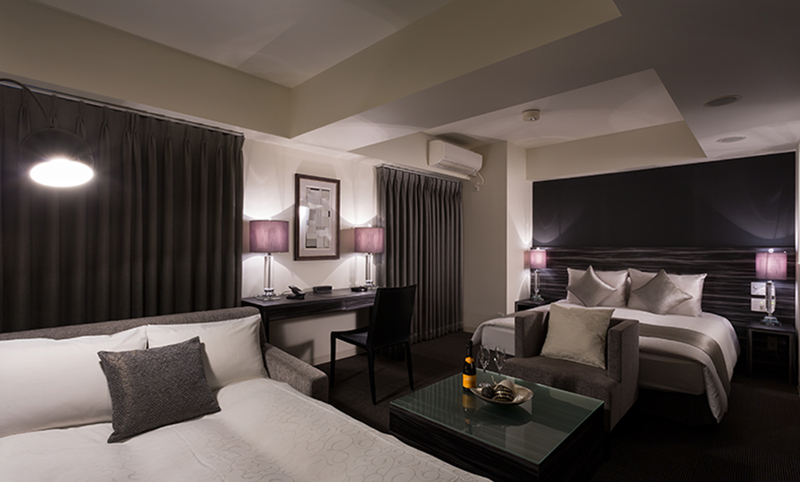 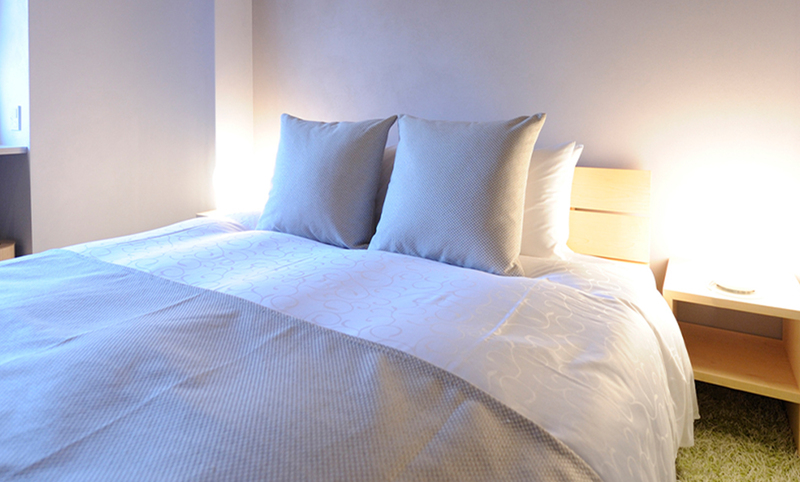 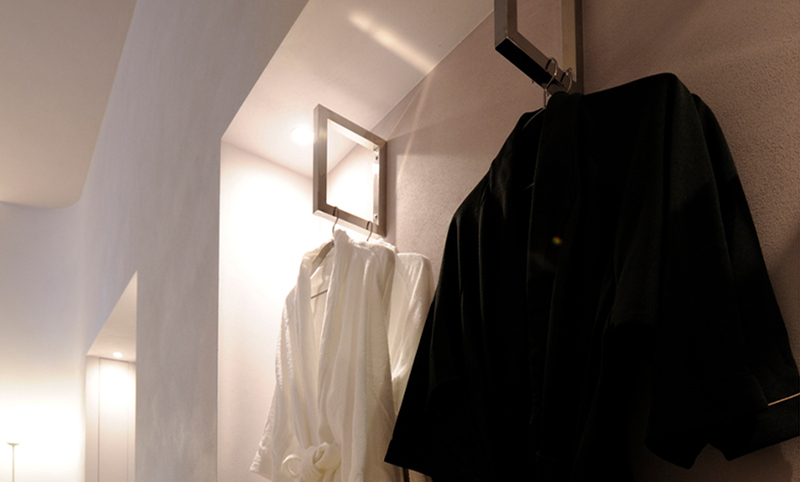 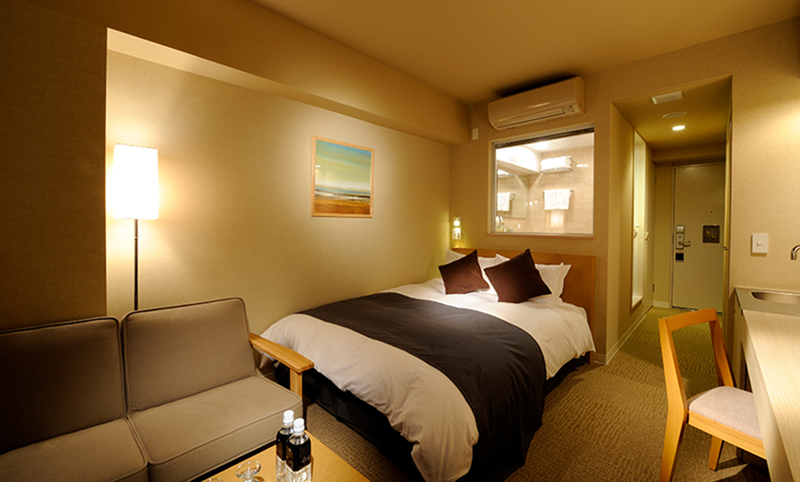 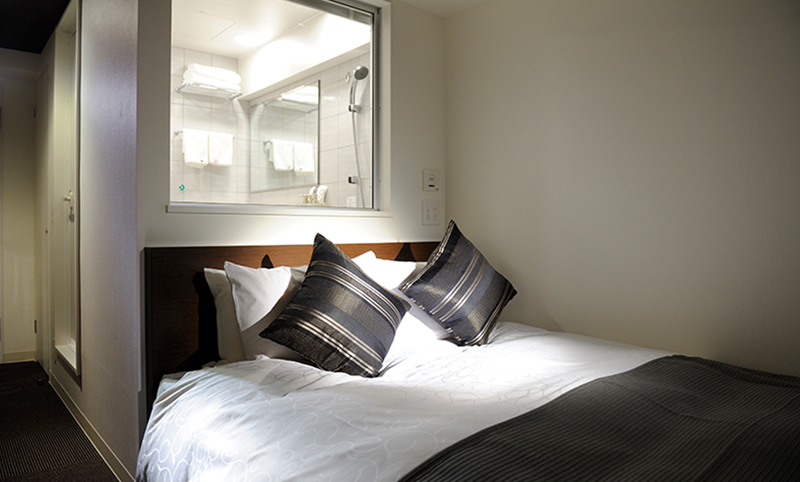 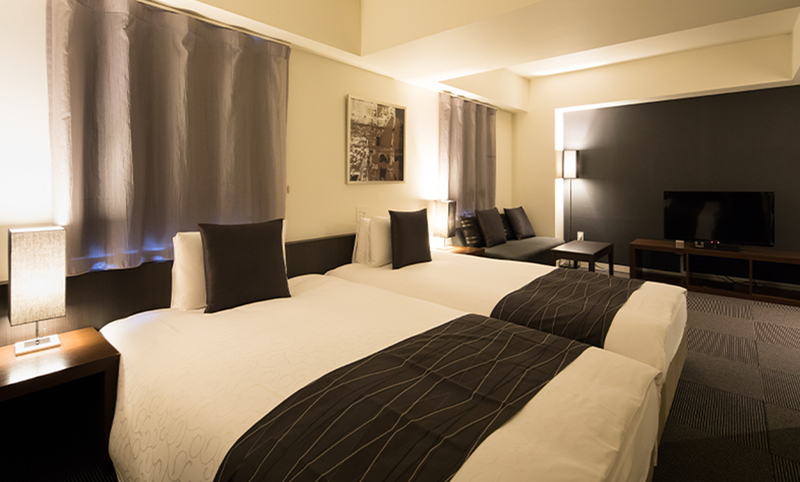 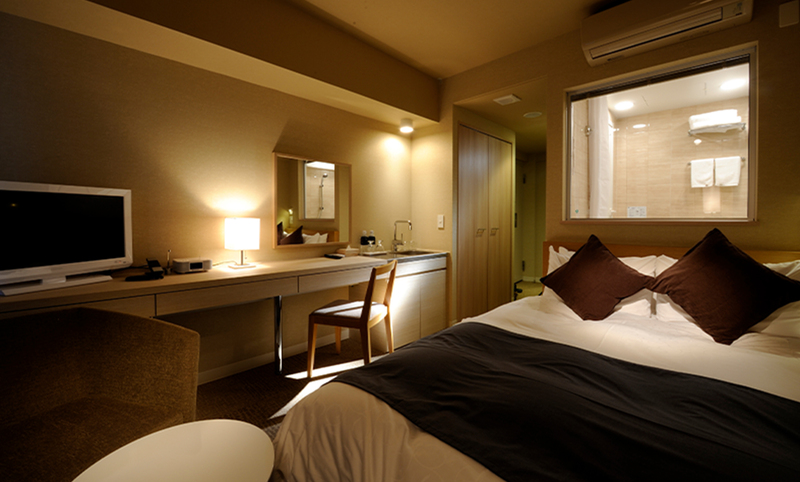 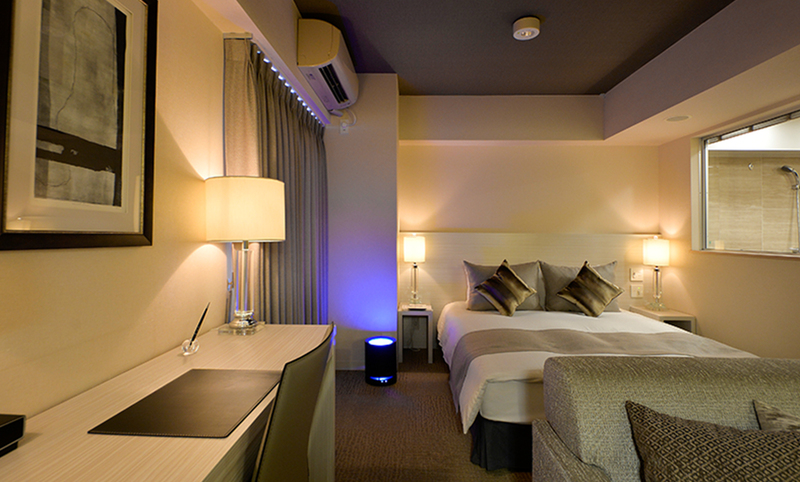 A comfortable, nicely organized, 23 square meter room featuring one bed with a width of 160 cm. 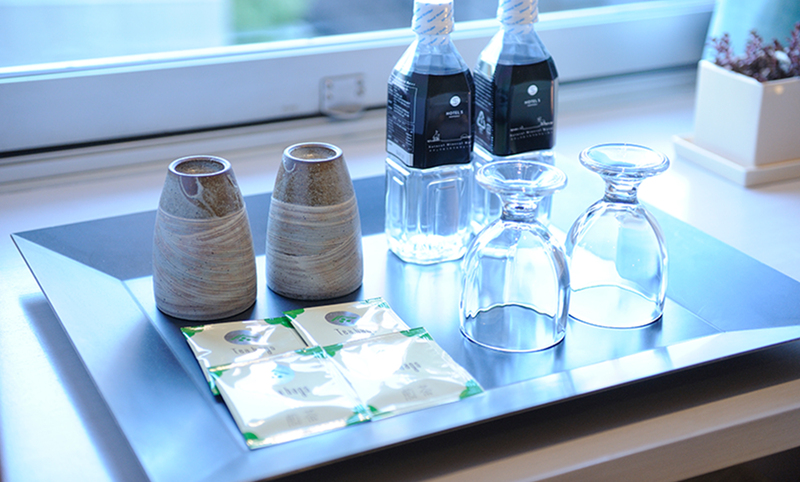 Designed by a lovely lady interior designer specifically for our guests who look for the sweet details in interior goods and furniture.